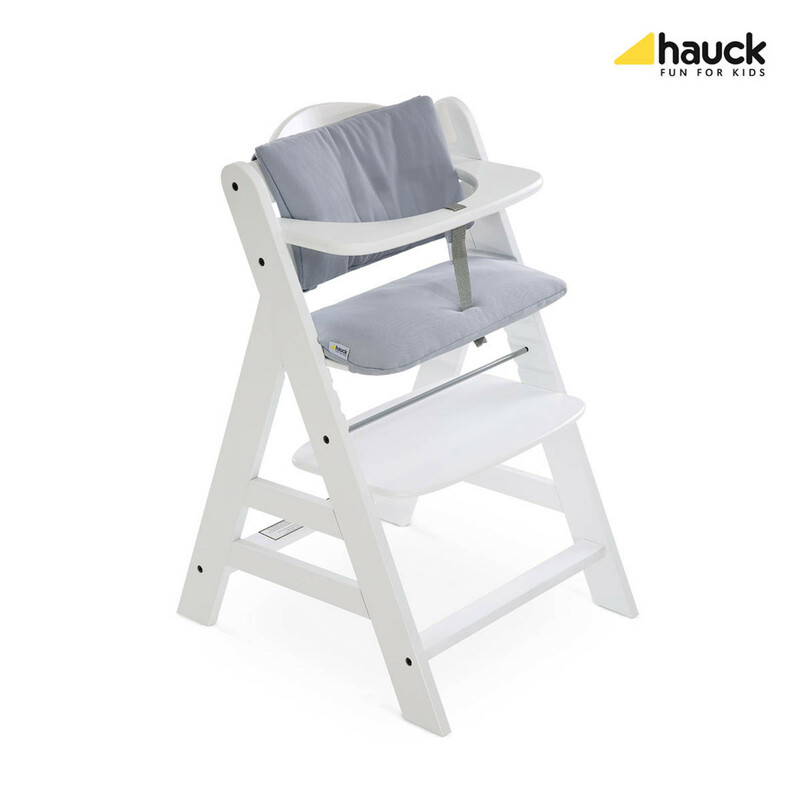 The Hauck Alpha+ Highchair offers a state of the art highchair that grows with your child! The practical Alpha+ is the ideal highchair for parents who place emphasis on design and functionality and is suitable for children from approximately 6 months to 12 years (up to 90kg). 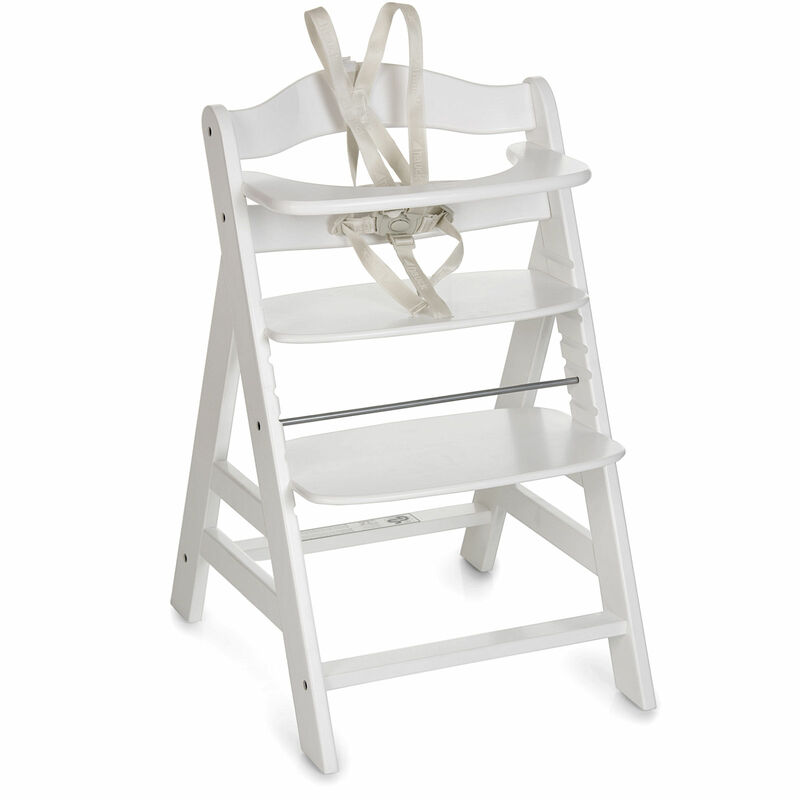 The tilt resistant the highchair comes complete with front bar and 5-point restraint system with crotch strap which adds that extra bit of security as your little one enjoys mealtimes. For older children, simply remove the front safety bar and the seat unit and footrest can be adjusted in height and depth allowing your child to sit at the correct height at the table. The included beautiful 2 in 1 Bouncer is suitable from birth and provides an adorable snug place for your little one. 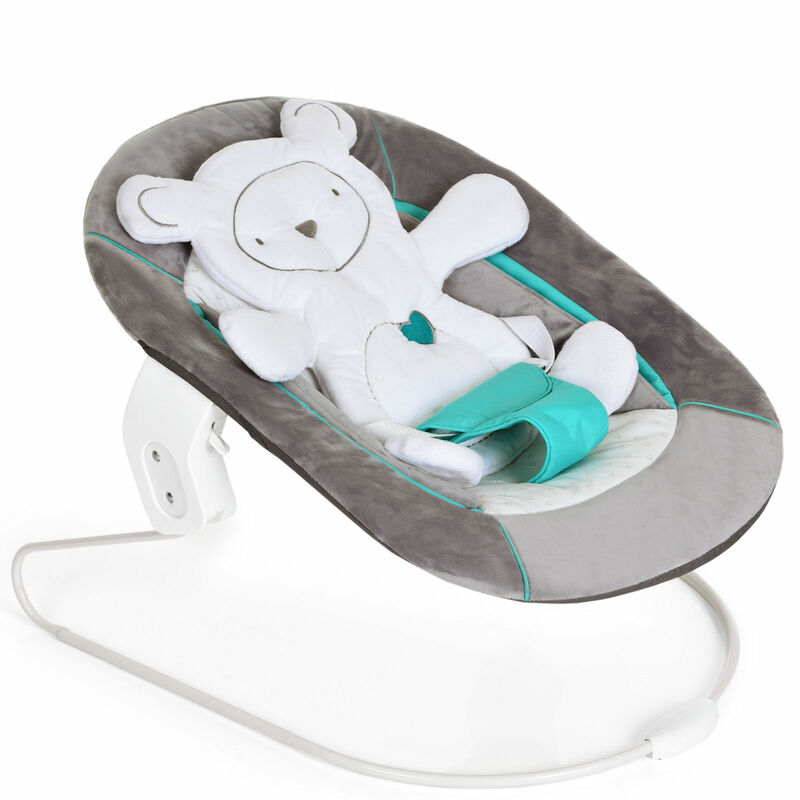 With its ergonomic shape, soft and cuddly fabrics and padded teddy head support your little one will feel at ease whether feeding, playing or sleeping. 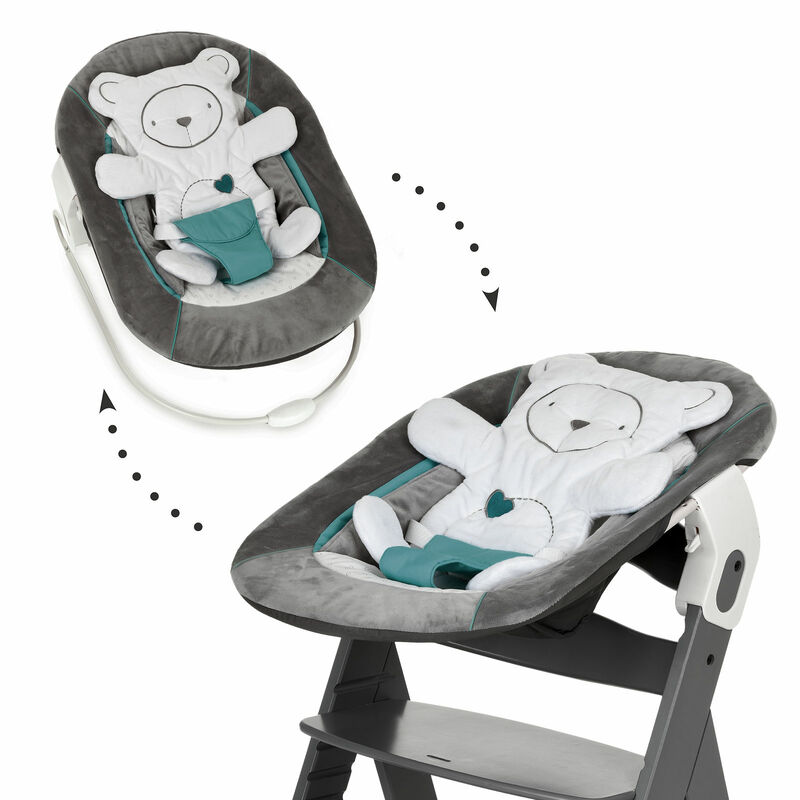 Complete with padded side and 3 point safety belt, the bouncer offers extra security giving you piece of mind as your little one watches the world around them. 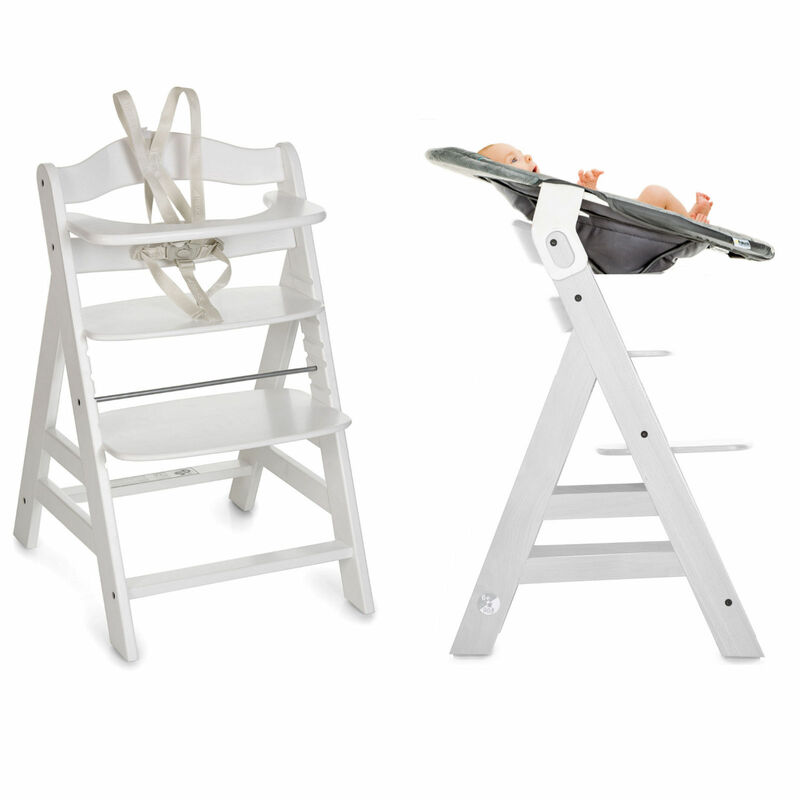 For family mealtimes simple connect to the highchair using the baby attachments and your little one can join in the fun. 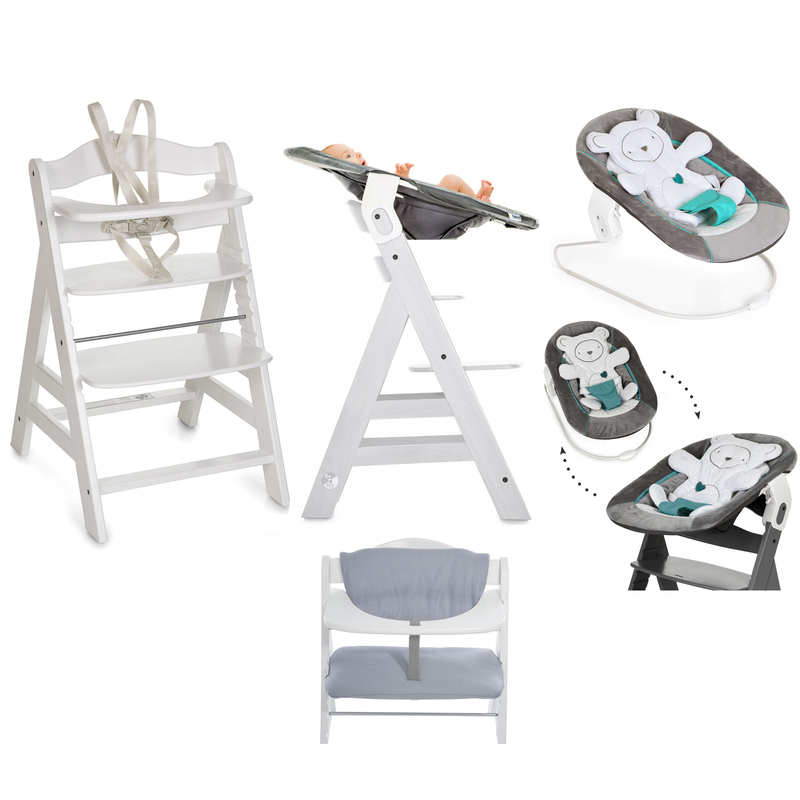 The seat can also be attached to the flexible base frame enabling you to rock them back and forth ideal for when baby is ready for those all-important naps. 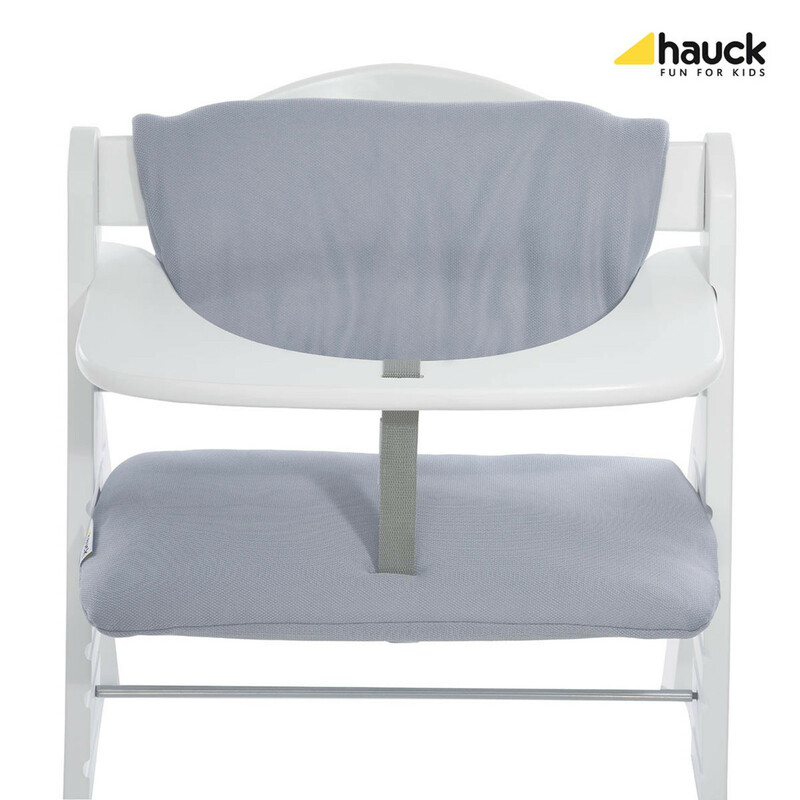 For comfortable seating and the perfect accompaniment to your highchair, the Hauck Highchair Pad Deluxe is included, which offers high-quality padding to provide luxurious comfort for your little one. With a two-part design (seat and backrest) and secured with strong velcro fasteners, the highchair pad offers an optimal fit and a comfortable sitting position for your child.